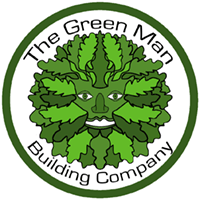 The Green Man Building Company Ltd specialises in the care and repair of period, listed and scheduled properties as well as the construction of brick, flint and oak framed buildings such as cart lodges and garden rooms. The company is is proud of being able to offer a complete design and building solution particularly relevant to owners of Listed Buildings where a range of traditional skills is important. The specialist nature of our work makes the company an important point of contact for owners of all types of period properties. With a passion for traditional architecture and a reputation for achieving prestigious results, on time and on budget,we respect and appreciate the particular and individual features that make period homes so special. Each project is treated as being a unique undertaking ,we will always have the best interest of the client at heart and take our responsibility for passing on our architectural heritage seriously-from meeting the client,creating the design, to digging the foundations and the final hand over,we really do care- that is what makes us so popular! Whether it is a small repair or the building of a new, inspirational oak-framed house, we offer our clients the very best of attention to detail- we listen to you and your period building! Bespoke design and build service. Green Oak Timber Framing . Render removal and brickwork restoration..
All types of historic masonry repair/re pointing. All types of oak repairs (sole plates etc). Our deep experience of the way fireplaces were constructed and meant to function ensures that the results of our restoration will ‘fit’ the home and the period, enhance the aesthetic and bring you warmth, safely. Working with oak and Elm is an ancient craft, the landscape produced wonderful trees, which when used in timber framed construction ,brought the qualities of the wood into the home- timber framed houses seem to ‘fit’ into our landscape quite naturally,so long as their character is encouraged to be celebrated, rather than covered in modern and damaging renders! Listing does not cover every home that ought to be- there are very many beautiful period homes, often of the vernacular type- workers cottages,barns etc ,that need an approach to repair that understand how they were built and importantly how they should function in today’s world. Knowledge of traditional construction techniques and the properties of materials ensures that we can operate with pragmatic confidence, yet fully aware of the responsibility we have to the client, the building and our heritage to get it right-functionally and aesthetically.